In the last 10 years, technology has changed the way we work and communicate with others — and it’s also changed how we interact in the classroom. In fact, some educators argue that technology can improve the classroom by eliminating the need for a physical one, and allow students to learn remotely, from wherever they do their best work. While it’s still too early to know if this is the most effective way to teach, it’s important to stay-to-update on these innovations in education and see what we can learn from them. In these TED talks, students and educators share their stories of how technology has helped them learn to code, make art, connect with others, start schools, and more. MIT professor Mitch Resnick believes in the power of teaching kids as young as kindergartners how to build programs. In this 2012 TEDx talk, Resnick talks about the generation of “digital native” kids who can text and chat and game, but don’t know how to create any of the new technologies they’re interested in. “It’s almost like they can read but not write,” says Resnick. The answer? Resnick proposes Scratch, a kid-friendly learning tool that makes coding as easy as stacking building blocks. Today, John Maeda is a partner at Kleiner, Perkins, Caufield, Byers — but here he talks as the president of the Rhode Island School of Design. In this 16-minute TEDGlobal talk, Maeda explores the relationship between technology, art, and design — and how those three things can come together to make creative leadership more effective. Maeda draws on his experience as a child of immigrant parents, an MIT student with a penchant for performance art, a designer, and a strategic executive. Pint-sized developer Thomas Suarez talks about his most successful iPad app: Bustin Jieber, a Whack-a-Mole game featuring teen pop star Justin Bieber. Commanding the stage with more presence than some of his adult counterparts, Suarez uses this app to highlight a problem among his same-age friends: where should kids go to learn how to build apps? Suarez shares his personal journey, and how he hopes to create more apps with students and feedback from teachers help improve their school district. “These days, students usually know a little more than teachers with the technology,” he says to bursts of laughter. “So…” he smirks, it’s up to school districts to tap into that resource. Shai Reshef started University of the People, a low-cost, online, accredited university, where anyone can learn “regardless of what they earn, where they live, or what society thinks of them.” Reshef aims to decrease barriers to higher education using the power of the Internet — where classrooms have no limit on seats, tuition is virtually free, and peer-to-peer learning is encouraged. Listen to him talk about the educational endeavor on the day they became accredited. 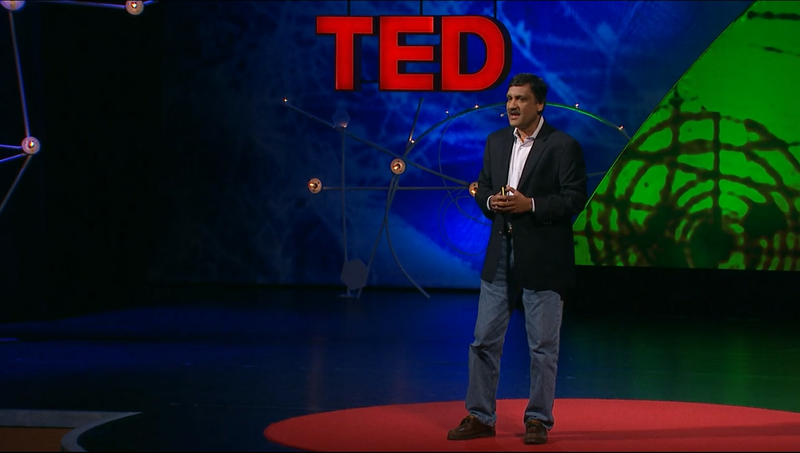 CEO of edX, Anant Agarwal talks here about how MOOCs have the power to improve classrooms. He gives examples of blended learning courses — where students watch videos or read online to learn at home, at their own pace, and then come together in the classroom to discuss what they’ve learned with labs and hands-on activities. These are the parts of MOOCs that we can take and apply to real-world classrooms, and that will allow tech-savvy students to learn more than they have before. We hope this list was helpful for you: we’re all about learning at Springboard.